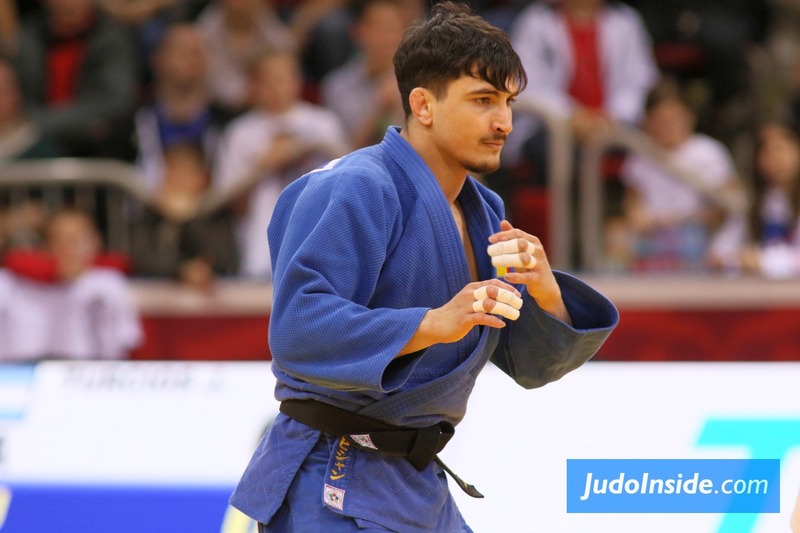 Saeid Mollaei signed for another amazing story at these amazing World Championships in Baku. Iran celebrates a world champion for the first in fifteen years. 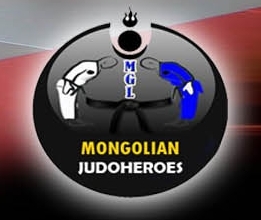 Mollaei won with powerful judo in an exciting final against Sotaro Fujiwara of Japan. After 80 seconds it was Mollaei who opened the match with an excellent wazari, the Iranian even thought he had won, but with wazari he got awarded for the an unorthodox effort. Fujiwara hadn’t showed his best so far and Mollaei was the one to attack when he had to. One minute for the Fujiwara made the equalizer with a beautiful o-soto gari and also this one was close to the back. It drove the final to the fireworks we were expecting. 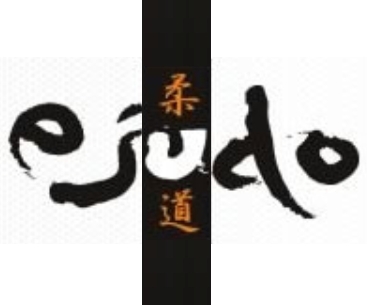 The Japanese back into the game as the match proceeded into golden score. Sixteen seconds it was Mollaei who reached ultimate hero status in his country to beat Fujiwara with harai makikomi and the Japanese tried to counter with uranage but the Iranian still had the arm to control Fujiwara. After Arash Miresmaeili won world titles in 2001 and 2003, it is fifteen year later that Saeid Mollaei wrote history for his country. The bronze medal fight was an all-German contest between Alexander Wieczerzak who won a back to back medal. His second world medal and again on the podium, which is a celebration worth while. 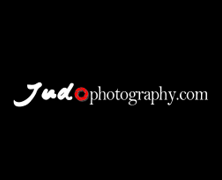 He defeated Dominic Ressel five seconds for the end with a seoi nage when he changed direction. The control on the arm of Ressel was key to drive Ressel to the ground. Wieczerzak who wasn’t too active this year and fought just briefly this year, showed he could come back at the highest level. Unfortunately for Ressel who was really steaming today but couldn’t come into the bronze medal bout for a second. Vedat Albayrak of Turkey and Damian Szwarnowiecki battled for bronze and the Turkish athlete took advantage of a mistake by the Polish fighter and directed him to the ground taking the first Turkey’s medal for a man since 2001 in another era. 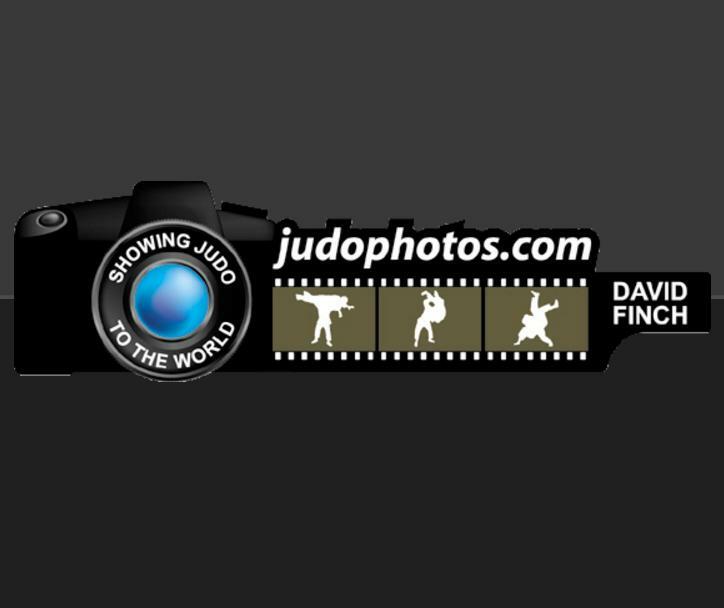 Turkish last medal was in 2003 by Nese Sensoy, can you imagine the impact of this medal. The Polish plugged the way throughout the day but made just one mistake on his way of success. 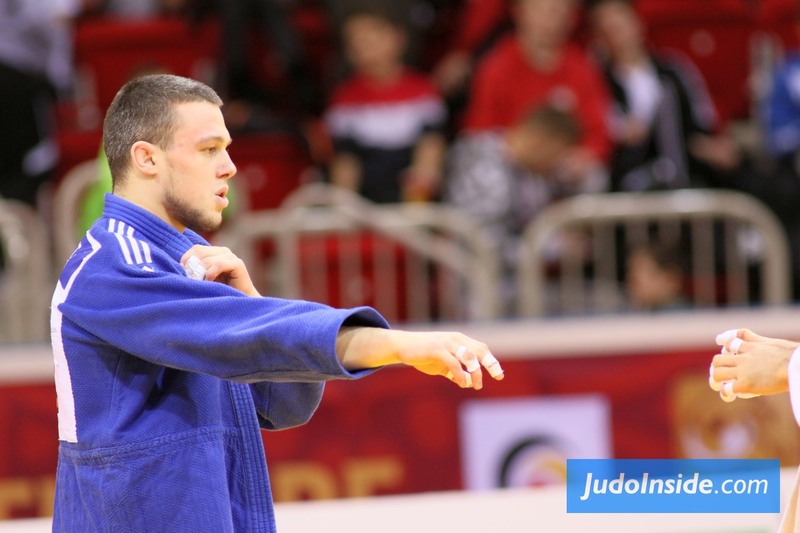 It was Albayrak who swept Szwarnowiecki to the ground after a ko-uchi attempt by the Polish. In the first semi final Vedat Albayrak showed World number one Saeid Mollaei he had no respect for his leading position fought him like a lion. 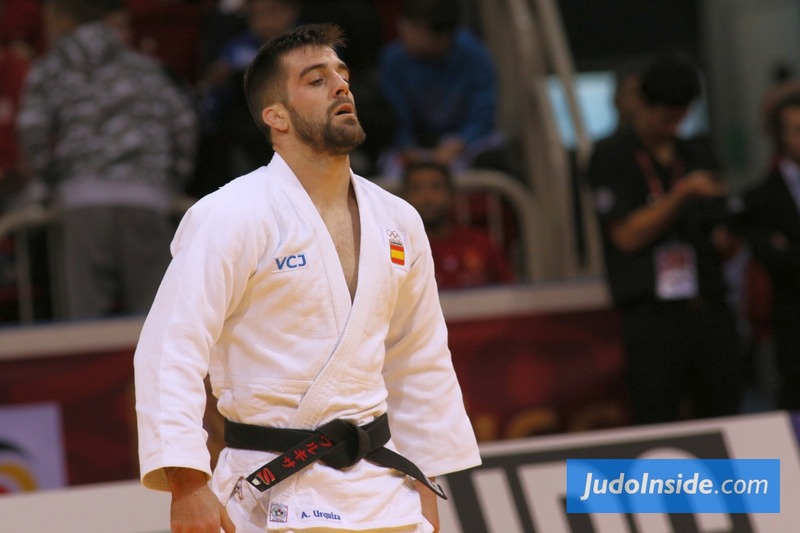 Albayrak, the former World Junior bronze medallist Roman Moustopoulos demands a medal for Turkey. He was born in Georgia as Vano Revazishvili. Both players didn’t score in the regular and made it an exciting golden score. Although Mollaei showed fatigue but it was the Iranian to reach the semi final after two minutes in the golden score with a very slow drive turning Albayrak onto his side. Sotaro Fujiwara of Japan had to fight Dominic Ressel who was on fire today. 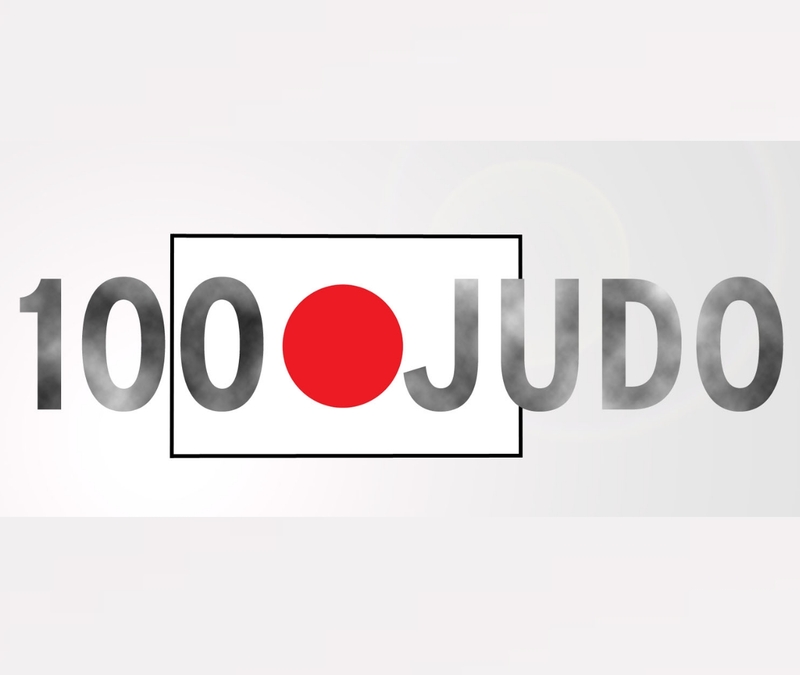 He scored an amazing ippon against Muki but Fujiwara got more experienced over the last two years in the IJF Tour and the gripping tactics in the match were essential. The kumikata fight resulted in a slow pace and Ressel got a penalty. 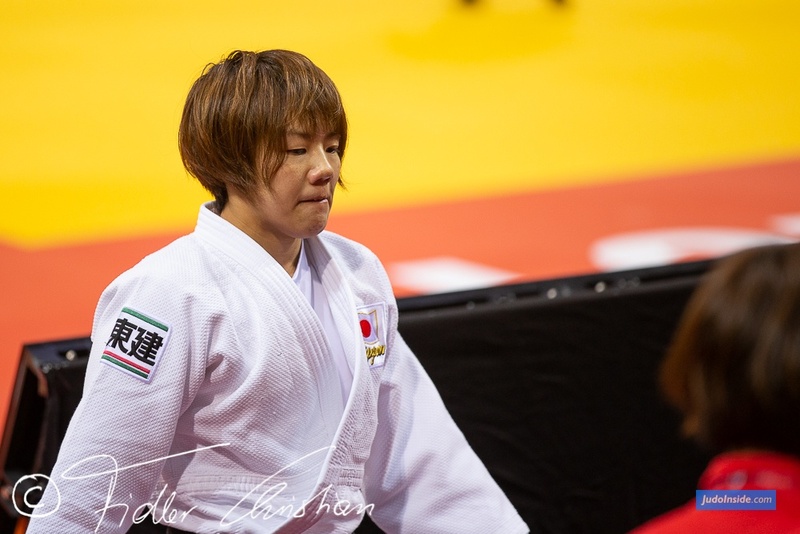 Both athletes didn’t score in regular time and Fujiwara got penalized as well, but athletes struggled with the condition. After six minutes of fight Fujiwara launched a Sumi Gaeshi and was awarded the score at first side but it wasn’t. 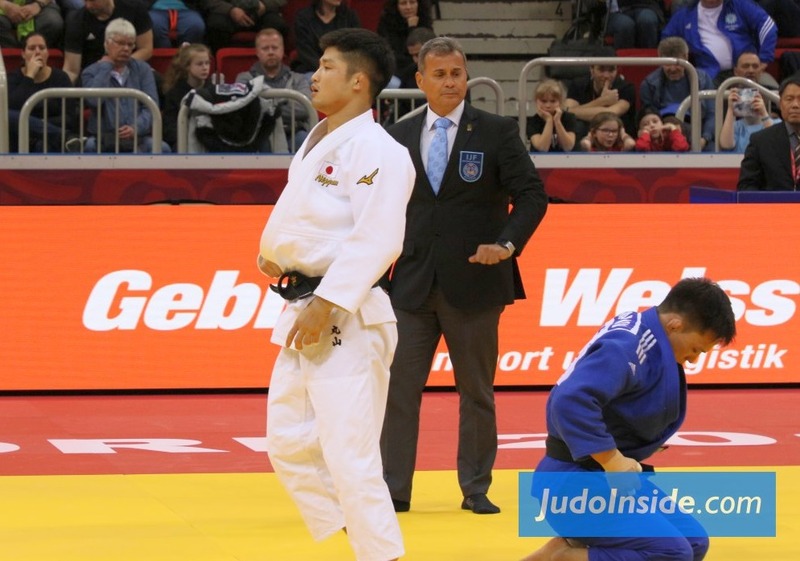 Score waved away but a few second Fujiwara scored with a left sasei and made it to the final which resulted in a bronze medal fight between the two Germans. 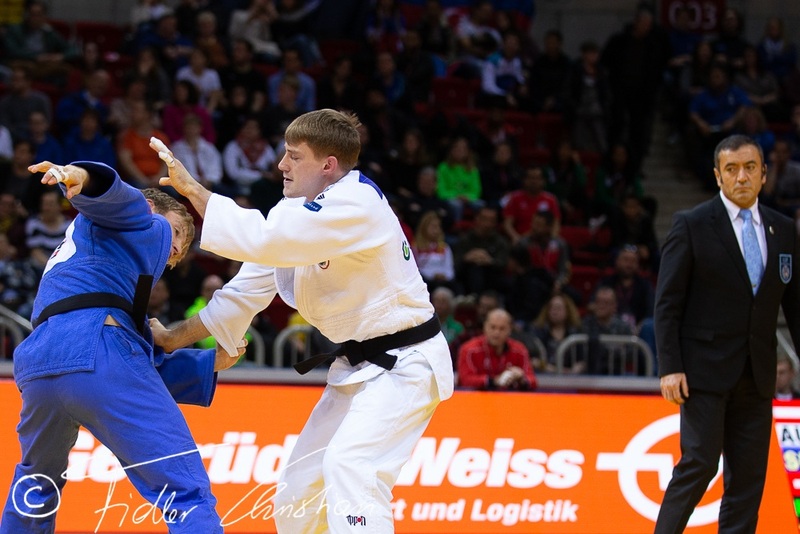 World Champion Alexander Wieczerzak defeated Junior World Champion Matthias Casse with hard judo and he controlled the pace of the contest. He threw Wieczerzak with a seoi nage in the third minute and Casse just couldn’t control Wieczerzak who was clearly aiming to prolong the podium feeling and show everyone it wasn’t a fluke last year. Wieczerzak had two penalties but pulled the match for the continuation. Not a bad performance though for Belgian rookie Casse. Damian Szwarnowiecki of Poland shocked Olympic champion Khasan Khalmurzaev. 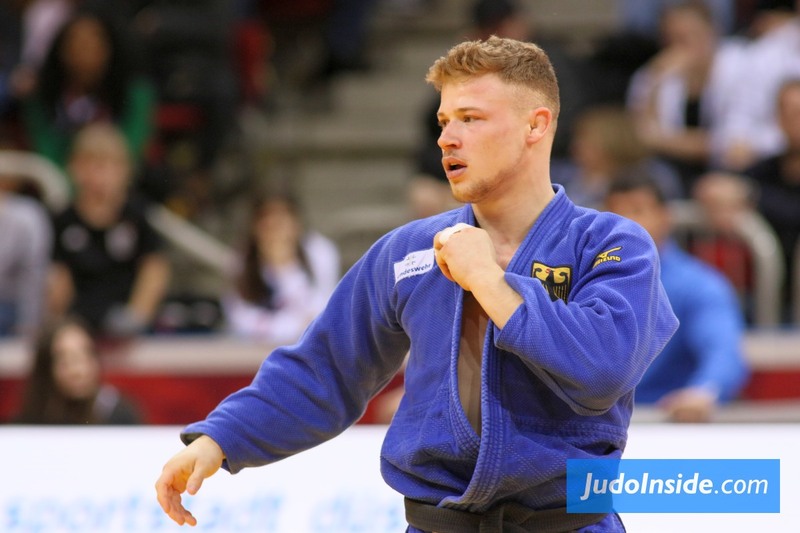 Szwarnowiecki who comes from the U73kg class progressed fast and this victory against the Olympic Champion for a sankaku and an oseikomi was a good win for Poland in general that needs a success, especially in the men’s classes.